Martina is designed for those who want it all. This bag is meant to carry around in style all the items needed for a busy work life while at the same time offering the advantages of a backpack in terms of comfort. 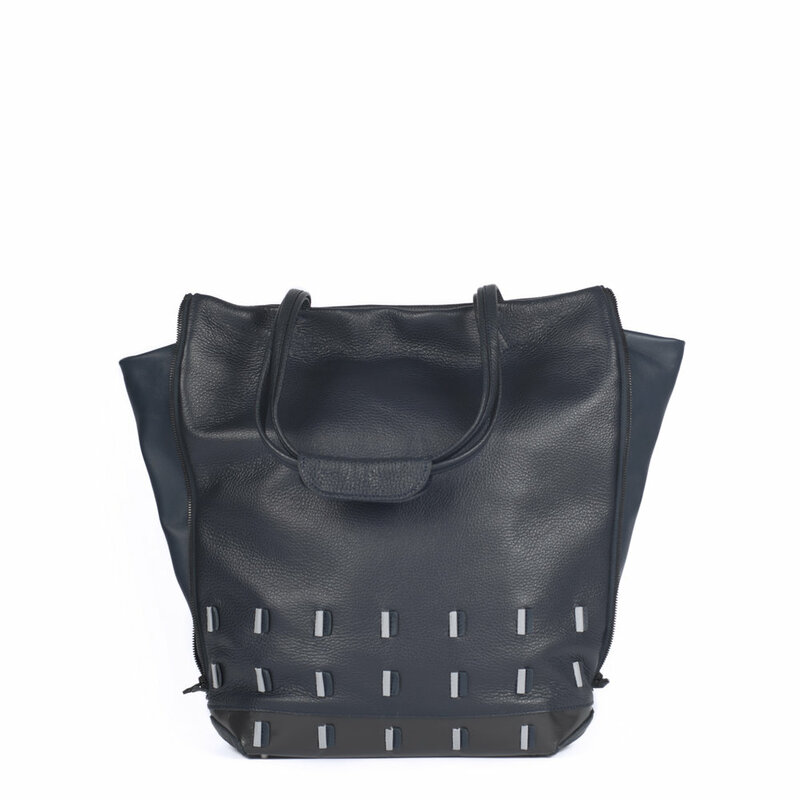 The bag is mainly made out of leather, except for the bottom which is made of tarpaulin. With this resistant, waterproof and easy to clean material, there are no worries about staining the bag when placing it on the floor. The main compartment of the bag is lined with thin but strong and waterproof textile. Should the leather fail to resist to a heavy rain shower, the items inside the bag remain safe. Martina opens from the top with a long zipper with double sliders. When the weather is good, just leave Martina open on the top. But if it starts to rain, zipping it close will keep all items safe inside. Martina also features one zipper on each side: when unzipped, two additional leather panels fold open and increase the volume of the bag. This also adds an extra element to the bag’s shape and gives the wearer the choice between two looks with one single bag. While riding your bike, the backpack straps will enable you to keep your hands free as Martina will comfortably rests on your back. When you are not cycling, you can wear the bag on one shoulder using the bag’s shoulder handles. The backpack straps can be be adjusted and eventually also removed easily. 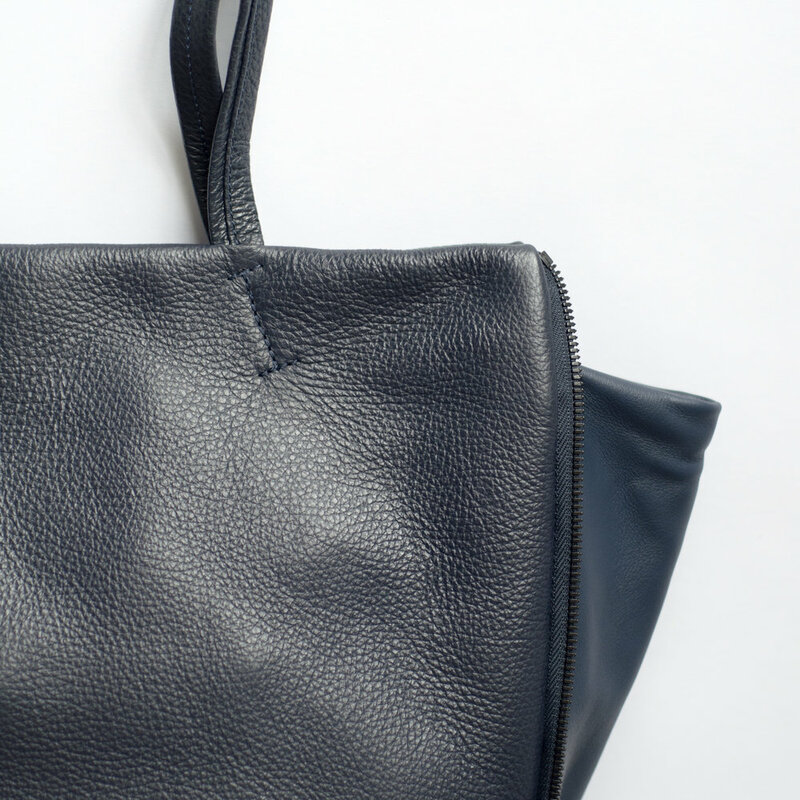 The leather shoulder handles look thin and delicate but they are lined with thin yet very strong webbing, making them perfectly adapted for carrying all the weight of the bag. 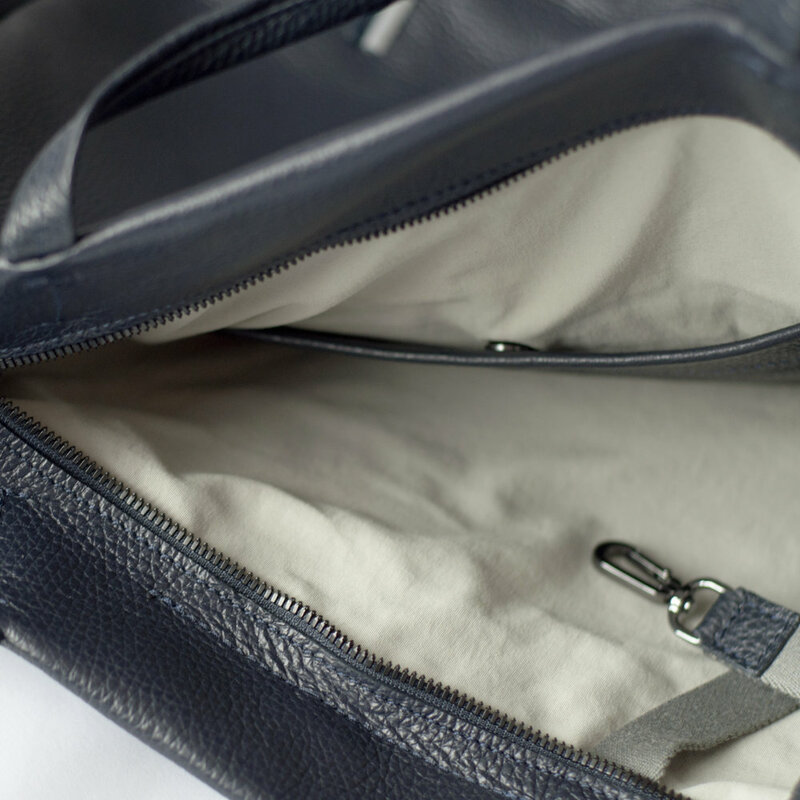 The main compartment of the bag offers plenty of room for a laptop and other items. 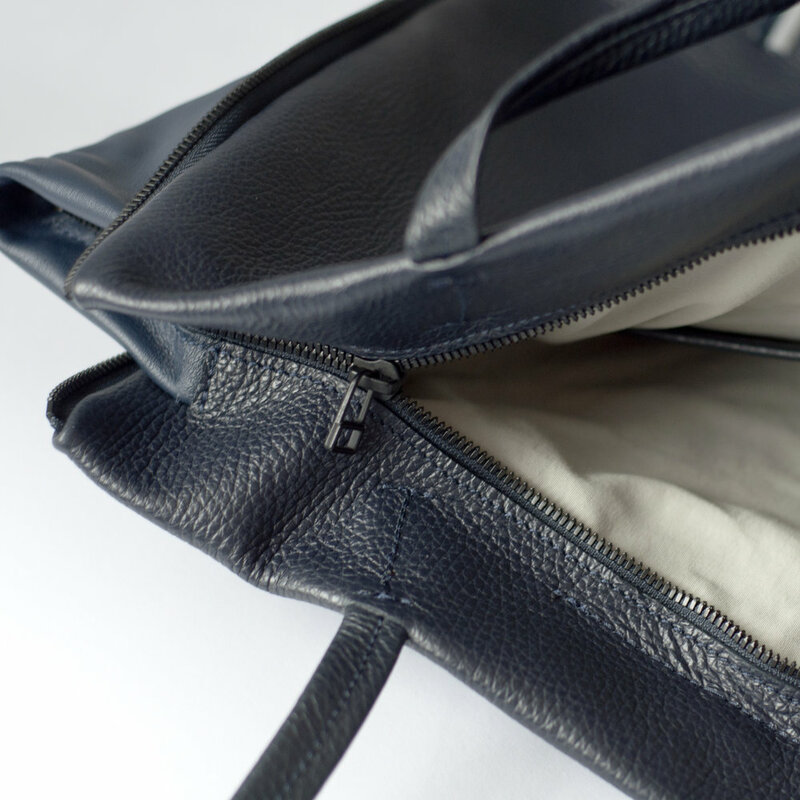 The main compartment also features a small leather pocket closed with a magnet as well as a strap with a snap hook at its end. This can be used to attach keys and to always keep them within reach. The snap hook can also attach to the small bag Bobby, transforming it into an extra zipped pocket which is always within reach inside the bag. 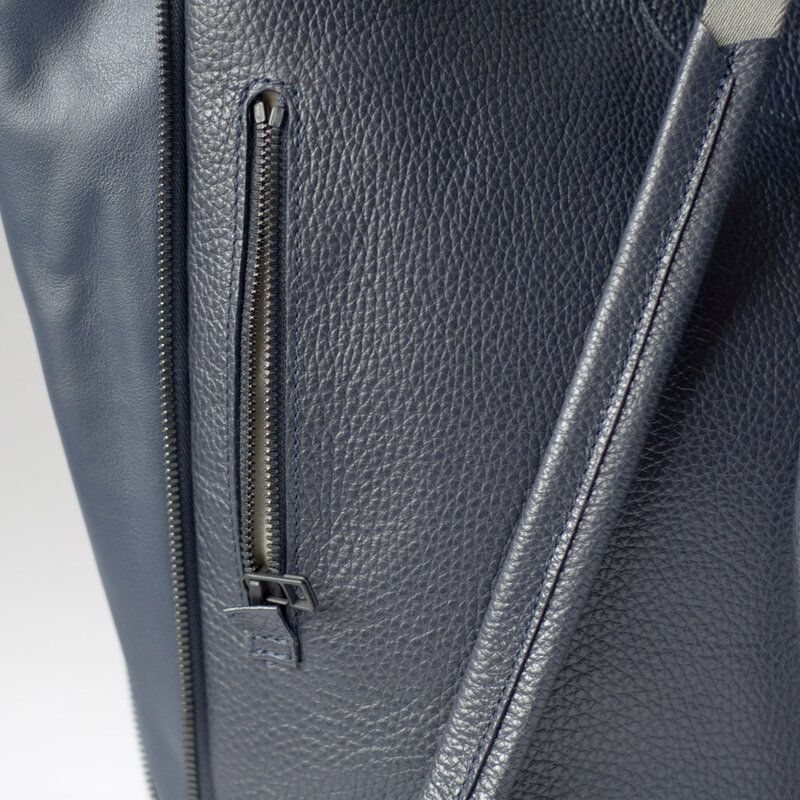 On the outside, Martina features one lined and zipped pocket, placed on the back. This is the perfect spot for keeping bike keys or other items which need to be reached quickly. Last but certainly not least, Martina’s front panel and bottom part feature a pattern made of leather and retro-reflective pieces, increasing the visibility of the bag and its wearer at night.